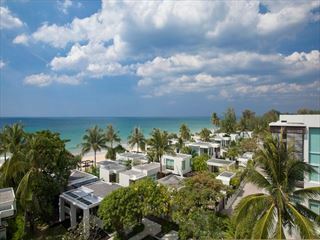 The Evason Phuket Resort and Six Senses Spa is located on the southeastern side of Phuket Island on Rawai Beach facing the Andaman Sea. Travelling time from the airport is 55 minutes, Phuket town 20 minutes and Patong Beach 25 minutes. 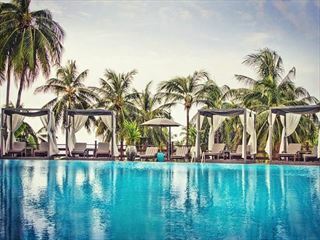 This a relaxed 5 star resort where individual design, excellent service, good food, fine wine and an award winning spa combine to make this a perfect relaxed holiday. The Six Senses spa offers revitalising, relaxing, healing and pampering treatments to rejuvenate mind and body. The rooms are located in 5 low-rise buildings in 64 acres of tropical gardens with more than 80% of the rooms facing the sea and bay. 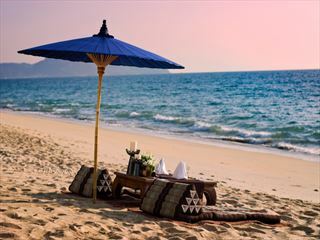 Onto the Island – situated on Bon Island and serves food to suit all tastes - salad bar, Thai menu and pasta/noodle bar. Into Spirits – a two storey open bar overlooking the Andaman Sea.